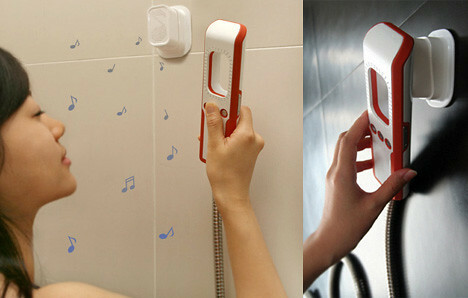 Yanko Design, will-known design company, announced its new concept – a music shower. The idea is following. Shower head includes waterproof MP3 player together with buttons to control the player and water. The shower’s holder is a speaker and charger in one. 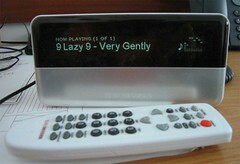 After buying Slime Devices Logitech added support to the online MP3tunes Music Locker service for its Squeezebox. MP3tunes Music Locker is a service which allow to you store your music content online. So you’ll able to listen it anywhere where Internet connection exits. Now with Sqeezebox you can play music from your PC and from MP3tunes Music Locker as well. A premium MP3tunes Music Locker costs $39.95 a year which includes unlimited storage space, bandwidth and device access (you also get a two month free trial period with that). NetStreams, the global leader in networked entertainment systems and technology based on Internet Protocol, has introduced the NetStreams DoorLinX DX100, the world’s first IP-Based doorbell / intercom system. Featuring an integrated microphone, speaker, and matching doorbell unit, DoorLinX allows any MP3 audio file, including a recorded voice, to be used as a door chime and to have different sounds associated with different doors or points of entry (it’s needed to be integrated with DigiLinx audio/video distribution system). The DoorLinX can be easily integrated with NetStreams TouchLinX touch screens or the KeyLinX KL200 (I hope it may work with others systems as well). In advanced, mix togehter DoorLinX and Panasonic surveillance camera you’ll get a video doorphone. Phillips has well known family of music streamers – Streamium. They are good and expensive. But a new streamer – SLA 5520 changed this situation. It has only a small two-toned screen, and no video support or extra functionality other than PlaysForSure but the price of the SLA 5520 is just US$99! So, it’s very reasonable for smarthome owners who like music. A new flash Skype phone is nore than just a Skype phone. It can be used as portable MP3/video player. The flash phone has a flash memory. Currently it’s just a 256Mb which is good for MP3 but is not enough for video. The phone supports following audio/video formats MP3, WMA, WAV, ASF, WMV, MPG, MPEG I II, QuickTime (MOV, QT) and AVI. It also allows to view pictures and read eBooks. The price is £69.99 which is not hight for phone and MP3/portable video player in one.